This is how Martin, my guide from Mayawalk, introduced me for the second time to Actun Tunichil Muknal – also known as ATM Caves. That statement is very well the truth, and he had no better place to demonstrate it than inside the caves. 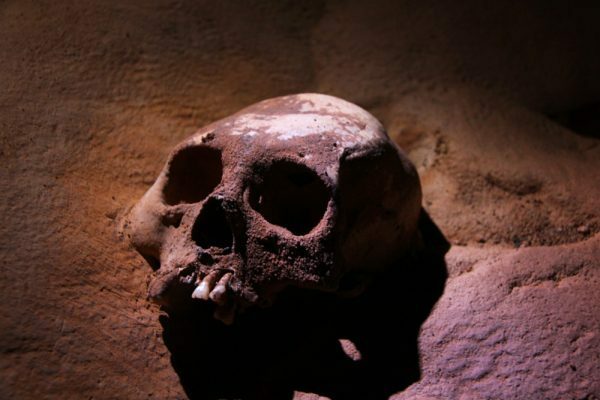 Xibalba, the sacred realm of the underworld where the Mayas ceremoniously pleased their gods with offerings and sacrifices, is the place where a dark history has been imprinted along its dripping walls, its muddy floors, and its calcified artifacts. Xibalba was both feared and revered. It was only for the select few who were worthy enough to enter and communicate with their gods. 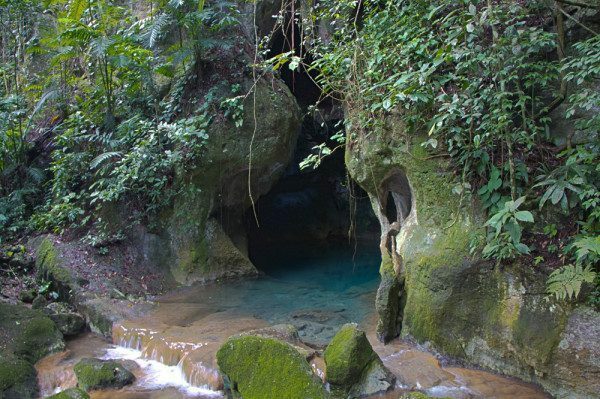 ATM Caves is one of the most adventurous tours near San Ignacio in the Cayo District, and probably all of Belize. 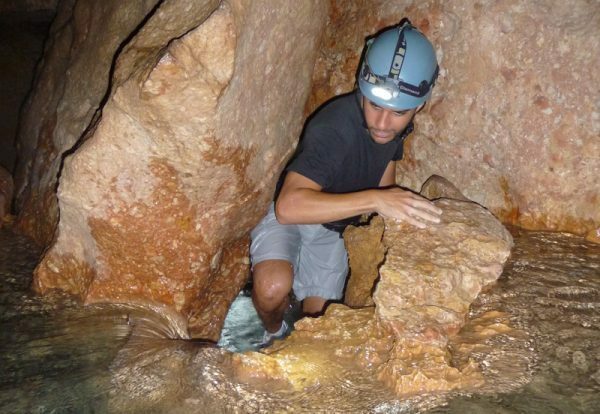 Not only it combines the adrenaline of going deep inside a moderately challenging wet cave, but it is also one of the best-preserved archeological sites in Belize. Inside the caves, you can see over 1400 artifacts, mostly pottery, that the ancient Mayas used in their rituals and offerings to their gods. 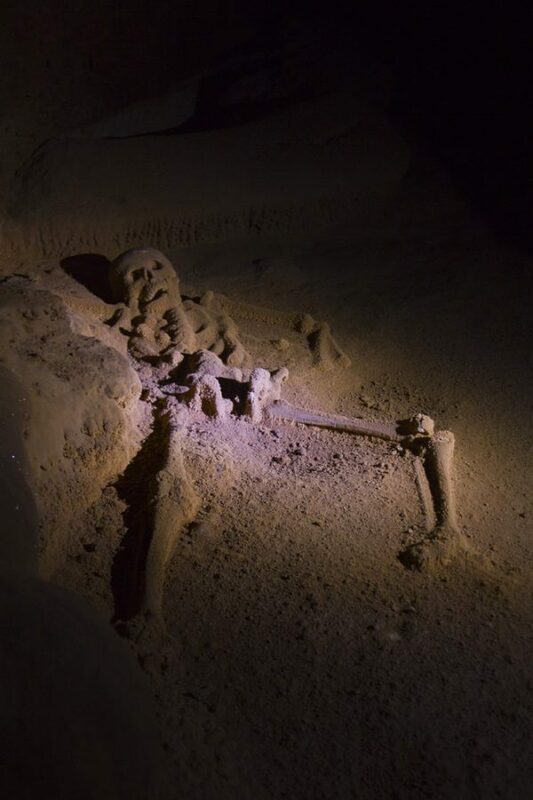 In addition, human remains of 14 individuals lay scattered throughout the great chamber known as The Cathedral, including the only full human skeleton of a Maya found to date inside a cave. The best way to experience ATM is by understanding the real procession the Mayas went through when they entered the world of Xibalba. The Mayas believed there were 13 layers of heaven and 9 layers of the underworld, with caves being the entrance to the underworld. Before reaching the heavens after their death, they believed they had to endure the 9 layers of the underworld to become pure. These caves are ancient temples, and that’s how they should be perceived. A hike of about 45 minutes, including three river crossings, precedes the entrance of the underworld. At the mouth of the cave, you can see the crystal blue water flowing out of the dark chambers and the undulating cave walls penetrating deep inside the space until fading into darkness. A short swim in the cold crystal clear water is the threshold between the world of light and life, and the world of darkness. The caves are about three miles long, but only a mile is open for exploration. The deeper you go in, the more sacred it feels, the more intimate it gets, and the better you can understand the relationship the Mayas had with these caves. Martin did a phenomenal job recreating a sensorial processional walk inside the cave – pitch black. We walked surrounded by nothingness, feeling only the water on our legs, breathing the dense humid air, smelling the delicate scent of lime (that Martin created by crushing leaves from a lime tree) and listening to the gentle sound of the water flowing. As we walked, Martin shared in a soft voice a story that was spiritually connected to the cave. To conclude the story, he chanted the word XIBALBAAA… AA… AA… echoing in the empty chambers, just before turning on the headlamp to see beautiful cave formations in front of us. Not sure if it was the chanted word or if I was just cold, but as soon as I heard the deep tone of that word a strong chilled energy ran through my body, heightening my sensorial perception and almost making me feel like I could see inside the cave, even when it was in total darkness. Deep in the caves, the Mayans modified several cave formations. In some instances they created altars for the offerings, in other they created silhouettes of faces and animals, and in other, they just created shadow projections into the cave walls. About a mile in, we climb a big boulder to get out of the flowing water and into the most important chamber in the cave: The Cathedral. This is where most of the pottery and human remains can be seen. The reason why it is so deep in the caves is that the Mayas believed that the deeper they went, the more layers of the underworld they crossed, the purer they became, and the more meaningful their offering would be. This is the place where many stories are told without even saying a single word. 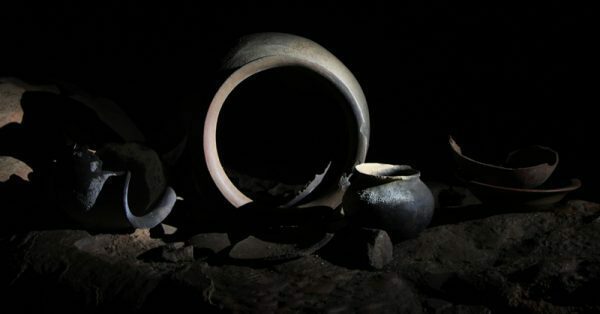 The rock carvings, the pots, the human remains, the cave; they all tell a story. There is power, there is mystery, there is suffering, there is fear, there is respect, and there is death. The Cathedral’s floor is fully sprinklered with broken ceramic pots and vases. No single ceramic piece is intact. Why? They were all used in ceremonial offerings. At the end of the ceremony, each ceramic piece was broken by either cracking it or by creating a “kill hole”. This released the inner spirit of the vessel and rendered it useless. Just imagine how that space must have felt when the Mayas built fires, burned incense, and lit torches to cast moving shadows in the shapes of their gods – aided by their carvings and even some mushrooms. That must have been some heightened religious experience. There are several skeletal remains in this chamber, with the most notables being the two adult male skulls and scattered bones, and the young child skull. By the end of the chamber, the most precious skeletal remain becomes visible. It is The Crystal Maiden, the calcified skeleton of a teenage girl, sacrificed, and placed in a dancing-like position. Due to the calcium carbonate cover, the water has created over the years, the skeleton sparkles eerily when lit with the headlamps. It is not sure why she was sacrificed, but she was probably the sacrificial offering to a serious prayer or request to one of the gods. Maybe to the rain god, Chac, during the biggest drought that brought down the Maya civilization by the end of the 800s AD? It is believed the Mayas considered being sacrificed an honor that would push them to the cosmos or heaven. As for me, I was honored to be able to wander through Xibalba, but I was fine reaching “the light” by just waking back out of the underworld, into the middle world. Great adventures on those caves but I’m claustrophobic so the beaches of Belize is where I go. Oh, then the beaches will do fine for you! BTW, when doing this tour, one of our companions was claustrophobic, and she managed to do it pretty well since most spaces are pretty wide open. There are only a few tight spaces here and there that will challenge you. 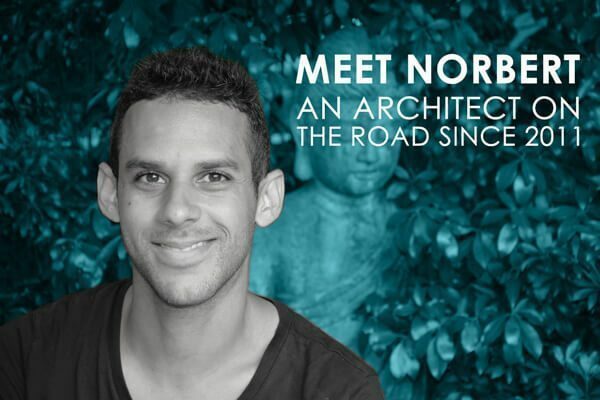 Hi Norbert, reading your comment gave me some relief. I’m headed to Belize next week and I have problems with claustrophobia. I haven’t decided yet on the ATM cave, but I will now strongly consider going since your friend was able to do it! Thank you soo much for posting that. Great photos and great story. It looks like quite an adventure. Thanks for sharing! Thanks! It is quite an adventure! Wow that skeleton is eerie. It almost looks like a prop. It definitely is eerie, especially since you can get pretty close to it! Wow that’s insane crazy! Belize is definitely one of my spots to visit next. Thanks for the cool story too! You’re welcome Ron! Yes, I totally recommend going to ATM caves. You will enjoy this unique adventure! 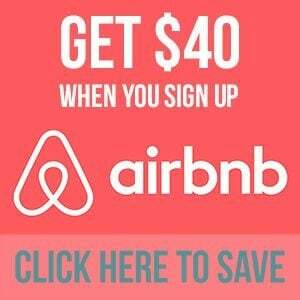 So helpful…going later this month with three spelunkers and am claustrophobic myself…but do not want to miss out either!!! !